This year we are planning to do, hopefully, two longish cycle tours (if things work out! ), interspersed with shorter weekend cycle/camping trips. It might be that we only manage to fit in just one long trip, but if you don’t make plans, you won’t do anything! One of the longer trips in the planning is the Outer Hebrides, which are off the west coast of Scotland. As we will be halfway there when we go to the UK’s first ever Cycle Touring Festival being held in May in Clitheroe, Lancashire (see my previous post), it makes sense to continue the journey and drive on up to Oban for the ferry to the Hebridean Islands. 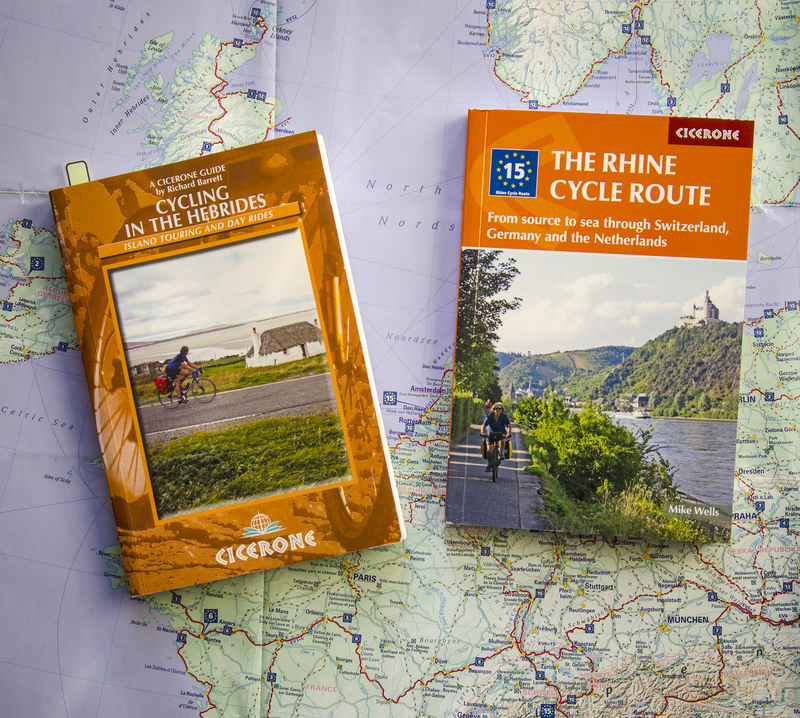 The second, much longer, trip is The Rhine Cycle Route, (EuroVelo 15), from source to sea through Switzerland, France, Germany and the Netherlands. We are still very much at the planning stage and need to sort out the logistics. If any of you have done either of these trips, we would appreciate any hints / tips / useful info you can pass on. What I’m also going to do is to document the trip/trips photographically and also film the journeys. So, as they say, watch this space!! Categories: Photography | Tags: Bicycle, Bicycle touring, Camping, Cicerone, Cycle Camping, Cycle touring, cycle tourists, Cycling, Europe, EuroVelo, EuroVelo Map, Map, Mike McEnnerney, Outer Hebrides, Photograph, Photography, Scotland, The pedalling photographer, The Rhine Cycle Route, Tour, Trip, Velo, video | Permalink. This past week the south-west of England has been battered by storm force winds and torrential rain. Trees have been blown down and rivers have flooded. Yesterday (Saturday, 24 November), it rained continuously all day long and most of the night, too. Today, we were promised a bit of a respite, but what has it done today…yes, rained! The day dawned full of promise, clear blue skies and even the sun was shining. Too mucky to consider going out on the bikes, so we decided to go down to the River Stour at Eye Bridge to photograph the flooding from the bridge. We turned into the car park but were brought to an abrupt halt…even the car park was under water! It was impossible to get to the bridge. I settled for taking a photograph of the car park – the depth of the water can be gauged by the top of the litter bin peeping out just above the level of the water to the right of the photo. We decided to go back home and try to and cheer ourselves up by thinking ahead of warmer, sunnier times to come, getting the maps out and making some plans for next year’s cycle tour. Where shall we go? We are torn by which direction to take – we are drawn to remoter landscapes and a longing for some wild camping. We have thought of the Outer Hebrides – it is very appealing, but then there’s the weather… and the midges! Currently, trapped in the gloomy depths of autumn/winter, it seems more appealing to head south for guaranteed (one hopes) sunshine and plenty of warm, summery evenings. We love the idea of being able to cycle from our front door without having to use the car and we are very fortunate in that we live close to the port of Poole, which enables us to cycle from home and catch a ferry to France. A trip to the Outer Hebrides would mean a long, long drive up to Oban in Scotland. It is actually cheaper for us to catch a ferry to France than to drive up to Scotland and pay for car parking for three weeks – and it would be more environmentally friendly to leave the car at home! What shall we do? What a dilemma! Any suggestions? 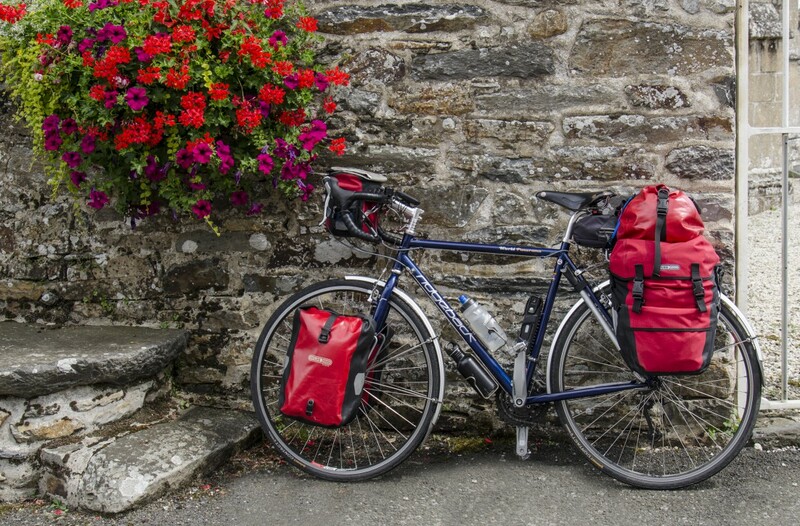 Categories: Bike, Camping, Conservation, Cycle touring, cycling, Dorset, Environment, France, Mike McEnnerney, photographer, Photography, PhotoLink Images, Tourism | Tags: Bicycle touring, Cycle Camping, Cycle touring, cycle tourists, environment, environmentally friendly, France, National Cycle Network, Oban, outdoors, Outer Hebrides, Photography, Poole, Scotland, transportation, weather | Permalink.